There is no further information confirming these two are father and son, but let’s choose to believe life is good and these two are just having an awesome bonding day. It is of course possible that this grown man loves Minions and needed an excuse to not go see the movie alone. 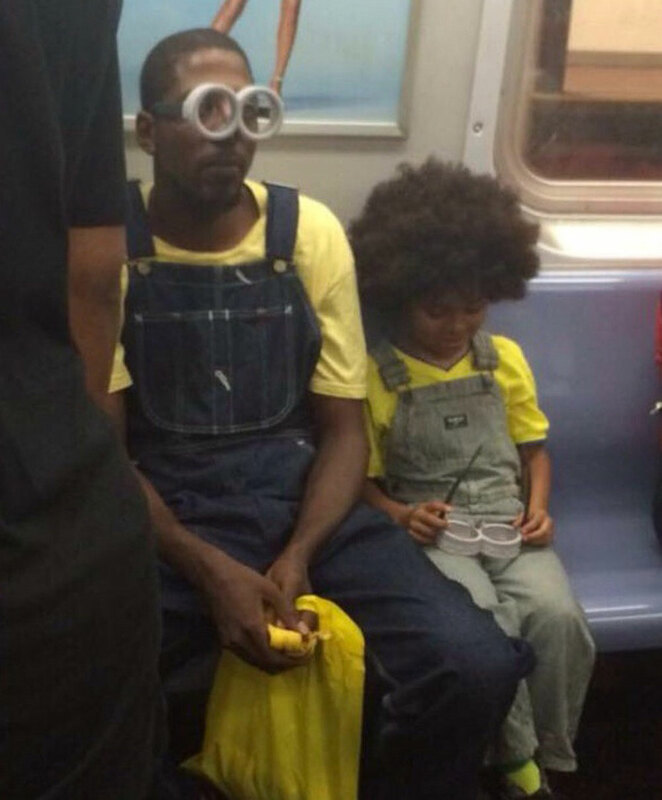 The whole situation wouldn’t be any less cute, but it would make his son the true hero here. It’s not unheard of — I was gladly my parents’ scapegoat, like, three times during the Finding Nemo era. It was totally heroic of me.